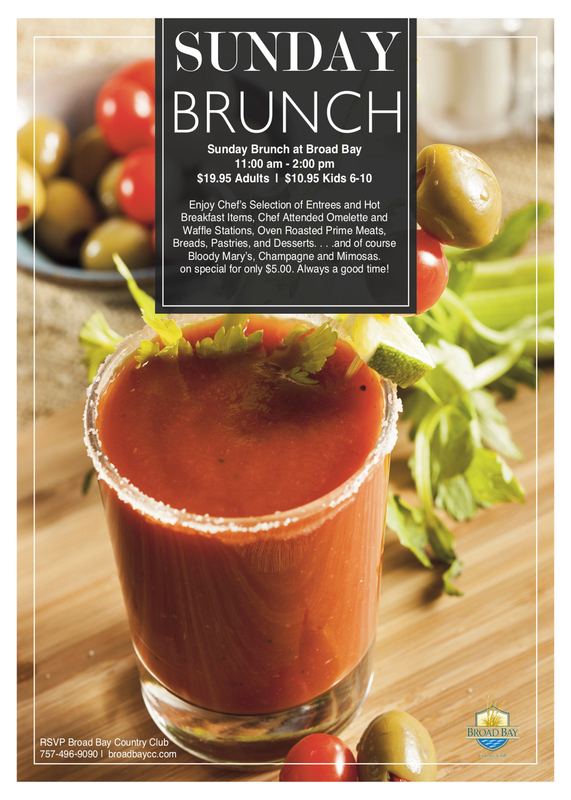 Every Sunday, visit Broad Bay for a delicious Brunch. Let Broad Bay be your Sunday Fun day destination. Every week, enjoy a beautiful Brunch Buffet in addition to $5 Mimosas, $5 Bloody Marys and $5 Bellinis.